MANILA — Back in the 1970s and 1980s, there was such as term as “jukebox king” or “jukebox queen” that referred to a Filipino artist’s song or songs being the runaway favorite in these jukeboxes where one had to plunk down a peso and choose a seven-inch single to play. If Didith Reyes, Eva Eugenio, Imelda Papin, and Claire Dela Fuente to name a few were bequeathed this title, who was the male counterpart? Eddie Peregrina and Victor Wood come to mind. Mike Hanopol would certainly qualify, too. In a supernova of a creative burst, Hanopol couldn’t do any wrong for an eight-year stretch where he wrote, recorded, sang, performed hit songs – classics if you will – for the Juan dela Cruz Band, Hagibis, Didith Reyes, and for his own solo career. He wrote songs such as “Laki Sa Layaw,” “Mr. Kenkoy,” “No Touch,” “Katawan,” “Balong Malalim,” “Beep Beep,” “Legs,” “Katawan,” and “Sa Bayan Ni Juan” to name but a few. If Hanopol didn’t migrate to the United States in the mid-1980s, he could have continued that run of hits. 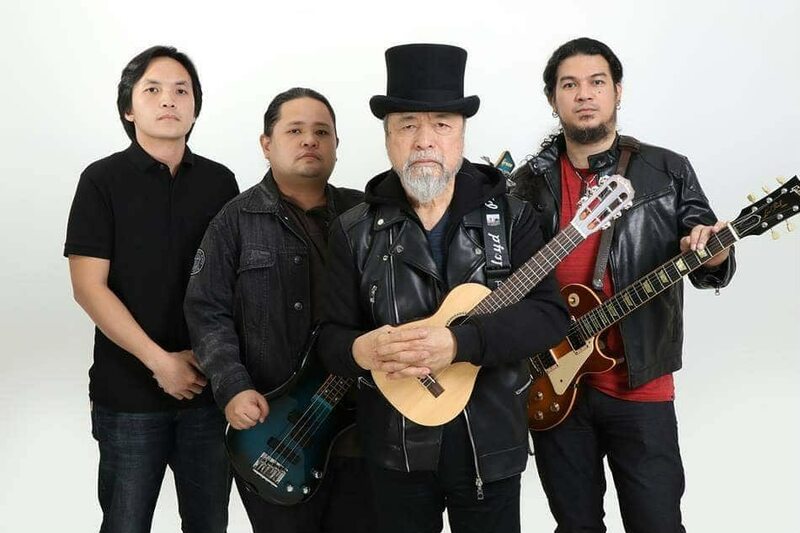 In 2018, 40 years after his last solo album, “Buksan,” Hanopol self-released an independent album titled “Hanopology: Ang Sekreto” that contained previously unreleased tracks as well as a few new ones. The veteran rocker admitted that he isn’t done and quite a few more songs and perhaps an album left in him. Now, Filipino music fans of all ages will get to re-live and celebrate the music of Hanopol, past and present. This coming June 21, Hanopol will perform his wide body of hits in a concert produced by Rockford Productions at the Music Museum. With the recent passing of fellow Juan dela Cruz Band member, Joey “Pepe” Smith, this show – planned before the death of the latter – takes on greater significance. These past few years saw Hanopol perform a bit more such as the Juan Dela Cruz Band’s last performance at the Pinoy Bands Super Blast concert at the Cuneta Astrodome in 2017. As much as the Juan Dela Cruz Band was constantly asked to produce a new album in the last few years, all the band members agreed that it would take the creative stars to align for that to happen. With the classic line-up (including founding member and guitarist Wally Gonzales) gone after Smith’s passing, so is that opportunity. Hence, to keep performing while one can. And Hanopol will not miss the opportunity to pay tribute to Smith with his rendition of that Juan Dela Cruz Band classic, “Himig Natin” that the latter penned. On the other hand, this is a great opportunity to see Hanopol sing his jukebox of hits that helped define a generation and form a golden age of Original Pilipino Music.